SOLD BY :Perennial Life Sciences Pvt. Ltd.
Moringa - The "Miracle Tree" Moringa oleifera, also known as drumstick tree, is a highly valued and versatile plant which belongs to the Moringaceae family. 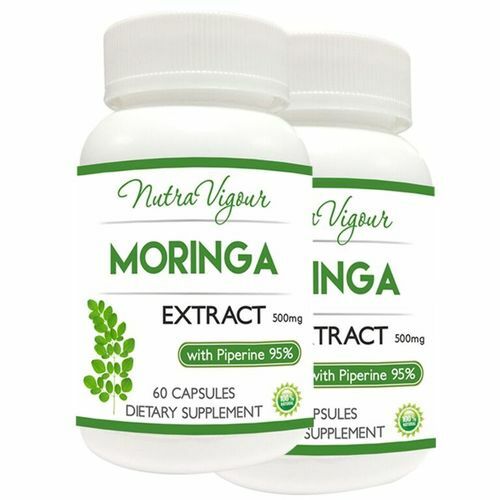 Moringa is a fast growing, deciduous tree that is native to India and is widely cultivated in tropical and subtropical areas all over Asia, Africa and South America. It is widely known with many other names, including Horseradish tree and Ben oil tree. Although modern science has only recently discovered its value, moringa has been imparting a multitude of benefits across various cultures since ancient times. Moringa was valued by the Romans, Egyptians and Greeks for its medicinal impact on a range of ailments. Today, usage of moringa has been encouraged by various humanitarian organizations to combat malnutrition and its effects in poverty-stricken regions, mainly due to its economic viability and rapid growth. The moringa tree has thick, whitish bark with droopy, fragile branches and long, green, oval-shaped leaflets. In Ayurvedic therapy, moringa is valued for its impressive range of therapeutic uses, commonly attributed to its antifungal, antiviral, antidepressant and anti-inflammatory properties. In some areas, it is simply known as 'shigru'. Nutritional Value of Moringa Moringa leaves and moringa pods are a nutritional powerhouse and provide a great range and amount of essential proteins, vitamins and minerals. Moringa is a rich source of essential amino acids, which are the building blocks of proteins. It also contains a significant amount of vitamins such as vitamin A, vitamin B1 (thiamine), B2 (riboflavin), B3 (niacin), B-6, folate and ascorbic acid (vitamin C). The mineral wealth of moringa includes calcium, potassium, iron, magnesium, phosphorous and zinc. It contains very low amount of fats and offers no harmful cholesterol. Health Benefits of Moringa. Explore the entire range of Minerals available on Nykaa. Shop more NutraVigour products here.You can browse through the complete world of NutraVigour Minerals .